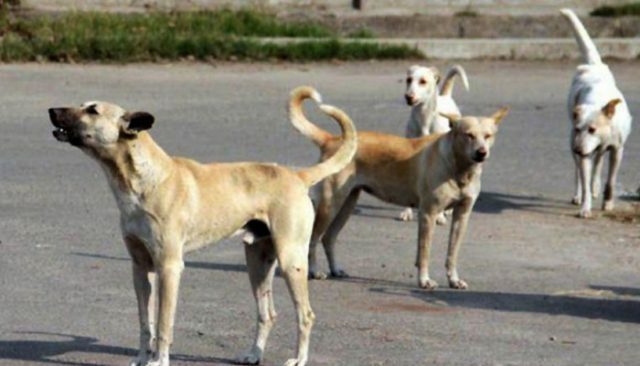 Twenty-five people were injured in Sialkot on Thursday after being bitten by stray dogs. Unfortunately, they had to purchase the anti-rabies vaccinations from the market because the government hospital they went to was out of the vaccine. The Allama Iqbal Memorial Hospital refused to comment when asked about the shortage. One of the attacks was caught on camera. A woman and two children were attacked by stray dogs in Kashmiri Mohalla and brought to the Allama Iqbal Memorial Hospital but were told there were no vaccines available. In the video, the dog is shown biting the woman’s hand first and then attacking two children playing in the lane. All in all, 25 people were bitten by dogs in a single day in the city. Most anti-rabies vaccinations in Pakistan were imported from India but they don’t want to export the vaccine to Pakistan anymore. The vaccine imported from India costs Rs1,000 whereas the one imported from Europe costs Rs70,000. At public hospitals, cases of dog bites are treated for free. Public hospitals use the Indian vaccine because it’s cheaper. Some private hospitals in the city use the expensive European vaccines. Pakistan Medical Association member Dr Qaiser Sajjad had told SAMAA TV that the time has come to start producing this vaccine in Pakistan. If the government can’t find a cheap alternative to the European vaccine, the number of deaths due to rabies will increase, he said.